At our Center for Medical Weight Loss (CMWL), we understand that losing weight on your own can be frustrating and difficult. That’s why we work with you to create a comprehensive medical weight loss program designed to fit your specific needs. Our most aggressive diet plan will help you achieve results the quickest and safest way. The Quickstart plan consists of replacing all of your meals using FDA-approved supplements that can be conveniently purchased here in our office. Your CMWL provider will analyze your bio-metric readings and will determine the amount of calories you would need to consume daily to meet your goals. A modified version of our Quickstart diet plan; this plan consists of replacing part of your meals with our FDA-approved supplements and consuming a low-calorie dinner using recipes and food recommendations given by your provider. Our Calorie counting diet plan; your provider will advise you on how to count calories and monitor your daily caloric intake without the use of meal replacements. Jumpstart your CMWL weight loss plan with an appetite suppressant prescribed and monitored by your CMWL Doctor. WHY THE CENTER FOR MEDICAL WEIGHT LOSS? Unlike commercial weight loss programs, medical weight loss is designed to take more than just the food you eat and activities you do into account. Only a medical doctor can truly understand how your unique health profile contributes to your weight loss challenges, but also how it can be used to help you achieve success. Your provider will study your medical history, prescriptions, hormonal imbalances, metabolic rate, and multiple other medical factors to design a weight loss program specifically for you. 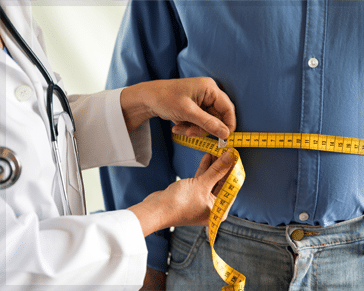 Once you understand how medical weight loss works, you can feel confident that your CMWL provider is the most qualified to help you achieve your weight loss goals. CMWL providers have received the most in-depth, comprehensive medical weight loss training available. Not only do they understand the physical aspects of weight loss, but they’ve been trained to address any behaviors holding you back from reaching your weight loss goals. This means you will have a highly-skilled, supportive, and caring medical expert on your side, helping you to lose those initial pounds quickly and safely, and teaching you to keep them off for good. Don’t let your weight stop you from living fully. Get the targeted, medically based support you need. Contact us today for a healthier, happier tomorrow. You are not alone. We can help.